As the complications in the tax collected at source (TCS) norms, which came into effect on October 1, 2013, are beginning to unravel, the e-commerce platforms and the vendors on these platforms are finding it difficult to even comply with the rules that the authorities have laid out. In order to collect TCS, the most important rule for the platforms is to get registered in each state where vendors selling on their platforms are based. To explain, a Gurgaon-based e-commerce platform will have to get registered in Kerala as well if a vendor from that state is selling on its platform. This requirement is causing a lot of problems as getting registered in multiple states is a hassle. Anita Rastogi, partner, indirect taxes, PwC, says, "I need physical presence in the state to even get a registration. You need documents of presence in the state -- address, property, etc." According to her, the GST authorities did assure the e-commerce platform that even if they put the address of the head-office, the state would provide the registration. The authorities even issued a circular in this regard. However, the instructions hadn't reached all the states and initially many of them rejected registration applications based on head-office addresses. "Though the states are now aware of the new circular, some of them are still getting educated," points out Anita Rastogi. This has delayed the registration process for many e-commerce platforms. Rajat Mohan, partner in a chartered accountant (CA) firm AMRG & Associates, says the confusion led many big e-commerce platforms to get their registrations much after October 1, 2018. For example, he says, one of the large travel portals got its registration done only on October 25, 2018 and another by November 5. Some are still struggling to complete the registration process leading to a delay in the submission of taxes and filing of returns. Taxes collected in October were supposed to be deposited by November 10, 2018. Unless the taxes are deposited and returns are filed on time, vendors would not be able to avail credits on the taxes paid. 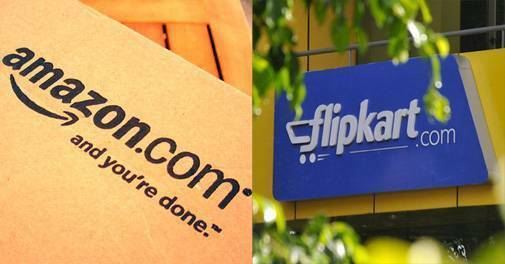 Bipin Sapra, partner, indirect taxes, EY, says many of the sellers on platforms like Amazon or Flipkart are small times vendors working on thin margins. "For them, this is an issue of increased compliance cost as well as an issue of working capital requirements," he says. There are other practical issues as well that e-commerce operators are facing in complying with the TCS requirements. Harshad Shinde, product manager, GST India, Avalara Technologies Pvt Ltd, says the TCS compliance brings many complications, which may not be easily addressed by the existing legislation and clarifications. "For instance, how do cancellations get handled? Do e-commerce operators essentially act on behalf of the government and administer the collection and refund of TCS, since most of the vendors are not registered GST taxpayers? Which e-commerce operator will be responsible for TCS in case of hybrid transactions across two platforms? (Example - Trivago providing search of hotel room listings as an aggregation of multiple hotel room listing websites)," Shinde lists out some of the problems that e-commerce operators may encounter in future on complying with TCS norms.